Here are a few interesting facts about our company, its history and background. Ecolibri is a business segment of A.C.E. srl. 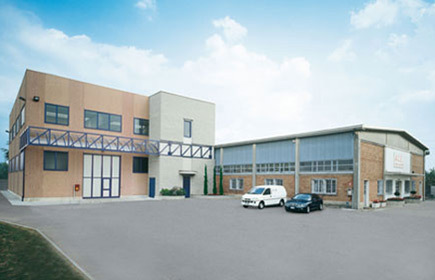 an Italian company, and was born from a management with 50 years of experience in the field of electromechanical, electronics, specialized in the production of wire harnesses as well as the design and production of industrial automation. The ECOLIBRI project is started in January 2011, from the desire to develop renewable energy resource that best utilizes the spaces. Thus the idea was born to design a vertical axis wind turbine with a storage system in a lithium battery for off grid solutions. Subsequently the wind and the sun power were combined and the 5,5kw hybrid Ecolibrì system was born, with a unique electrical control board, that controls amd manages multiple sources of energy. The wind turbine produces up to 3,5kw thanks of the wind power and the remaining 2kw are produced from the sun power by photovoltaic panels. The energy produces is stored in lithium batteries. In this way we are able to make independent those who currently have no access to the electricity grid of their location or where the supply of electricity is not readily available or very expensive. In order to guaranty 24/h energy supply Ecolibri also is offering complementary products and solutions as you can see in our product list and News. We don’t provide just products, but complete solutions which fit your organisation’s needs perfectly. Is there a river nearby or is it windy? Do you have sun for more than 200 days per year or it’s mostly cloudy? What’s the energy consumption of the entire unit? There are a lot of factors which we consider before designing the perfect solution for you. We made this one as simple as possible. Just fill in our contact form and we’ll get back to you. We do all the research for you so we can come up with a custom solution which fits you best and provide a price quote. Once the right solution is agreed we will undertake all the further necessary implementation steps for assuring the energy supply as fast as possible. Our technical service is available for assistance requests and maintainance of the system.